Our supply chain planning and optimization software addresses the complex strategic and real-time problems faced by global organisations which need to deliver high quality service to demanding customers while minimising costs and environmental impact. MJC²'s optimization software covers all aspects of supply chain planning and logistics including manufacturing, distribution, demand forecasting, employee planning, inventory control and replenishment. MJC²'s software is ideally suited to highly dynamic operations such as fast moving consumer goods (FMCG) supply chains or short shelf life goods manufacturing. Our operational planning systems can schedule complex manufacturing and distribution operations, while our real-time execution software enables dynamic re-optimization of the operation in response to unforeseen events. PIMSS is designed to schedule very complex manufacturing operations which may have many independent or interdependent production lines producing thousands of different SKUs. 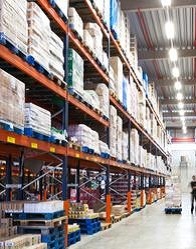 Integration with e-Stock enables balancing of inventory levels against known and forecast orders, leading to reductions in warehousing costs while optimizing factory throughputs. PIMSS creates long-term capacity plans, master schedules and detailed production line plans, taking account of related factors such as labour/shift planning, employee performance and raw materials sourcing. DISC can automatically schedule complex consumer goods distribution operations, including deliveries, collections, intermodal movements, linehauls, spot hire work, sub-contractors, backhauls, transhipments, etc. Integration with REACT enables dynamic re-optimization in response to last-minute orders, delays, breakdowns, employee unavailability, and cancellations. MOBi and ROCS provide real-time field service management and strategic workforce planning capabilities. Our scheduling systems can produce detailed daily, weekly or monthly schedules within seconds or minutes, allowing the operation to respond rapidly to changes such as last minute orders or breakdowns while maximising efficiency and customer service levels. Our strategic optimization tools enable forward planning of supply chain operations such as identifying the best locations to manufacture and distribute goods, or the ideal sourcing of raw materials. Resilience optimization is provided by advanced Artificial Intelligence-based algorithms which de-stress global supply chains and facilitate fast response to major disruptions. Trusted trade lanes can become disrupted by a wide range of events from natural disasters, such as floods, to terrorist threats. This can lead to delays or closures along the supply chain and possible causing shortages of goods where they are needed. MJC²'s optimization software reroutes shipments around disaster zones using multimodal links in order to minimize the effects on the supply chain while also working to reduce costs and emissions. In strategic mode the system allows what-of scenarios and contingency plans to be developed and analysed.